According to Bleeding Cool, Neal Adams has inked a deal to draw a Wolverine comic. Adams has drawn for Marvel in the past, and even worked on the X-Men. But it was before Wolverine was even created. So this is big news: A comic legend meets a legendary character … for the first time. No notion of when this project is happening, as Adams is still busy with his return via the maxi-series Batman: Odyssey. The “Ghost Radio – Countdown to Paper” event contest, celebrating the mass market paperback release of Leopoldo Gout’s hit horror novel Ghost Radio, continues. We’ll be accepting entries till March 13, 2010. This is your chance to win autographed copies of the book and other exciting prizes! To find out how to enter click here. And enter now. It only takes a few seconds! And, remember, all days of the event have contests. So enter every one of them. And increase your chances of winning! 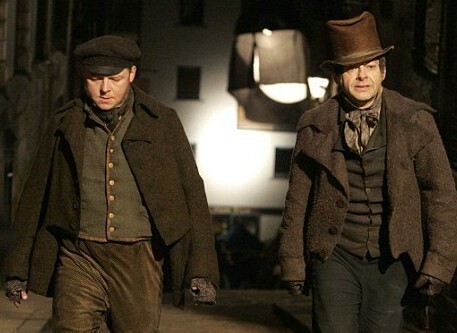 First images of actors Simon Pegg and Andy Serkis in John Landis’ return to horror comedy, Burke and Hare. A film about the 19th century’s infamous grave robbers. They look great don’t they? 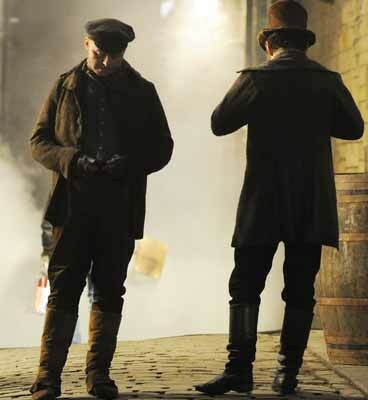 Even Pegg checking his cell phone in the bottom shot doesn’t spoil the Victorian effect. Obviously, the new ones are slicker. But those original ads are much scarier. 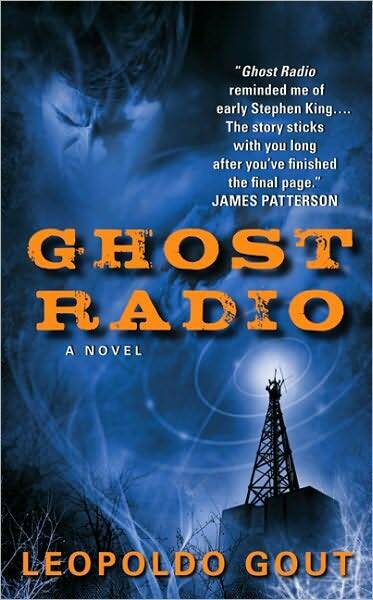 GHOST RADIO Paperback Hits Store Shelves Today! The mass market paperback release of Leopoldo’s Gout’s novel Ghost Radio hits store shelves today. This, the official blog for the novel, has been celebrating this release with a series of special posts and daily contests, featuring the chance to win autographed copies of the book and other exciting prizes! The contests will be open till March 13, 2010. So there’s still time to enter. So click on that link and enter now! It only takes a few seconds. Doc Savage Movie On Again! Columbia Pictures is set to return to the Bronze Age. 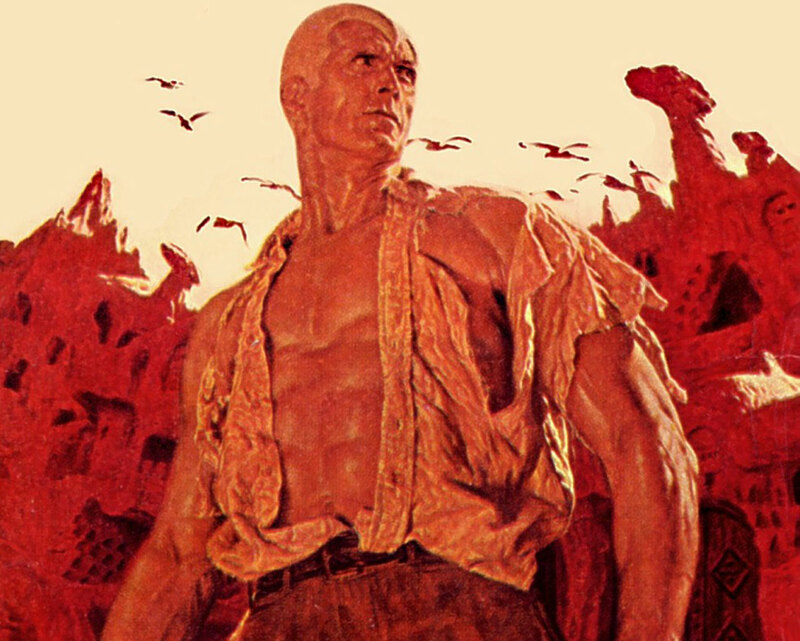 Studio is bringing Doc Savage — known as the Man of Bronze and hero of pulp novels, films and comicbooks — back to the bigscreen. Shane Black is attached to direct the film from a screenplay he is penning with Anthony Bagarozzi and Chuck Mondry. Neal Moritz (“Fast and Furious”) will produce through his Sony-based Original Film banner. 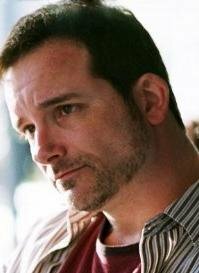 Black, for those who don’t know, is an icon in the Screenwriting community for his impressive scripts all sold on spec. Notably Lethal Weapon, The Last Boy Scout, and The Long Kiss Goodnight. He also directed one of the best films of the decade Kiss Kiss Bang Bang from his own script. Bargorozzi and Mondry are friends of Black’s. Neither have previous screenwriting credits. It’s nice to have friends. And from interviews we know that Black is a fan of the pulp fiction era which gave birth to “Doc Savage”. For fans of the pulp icon, this is very good news. Let’s hope this version of the project actually gets made!